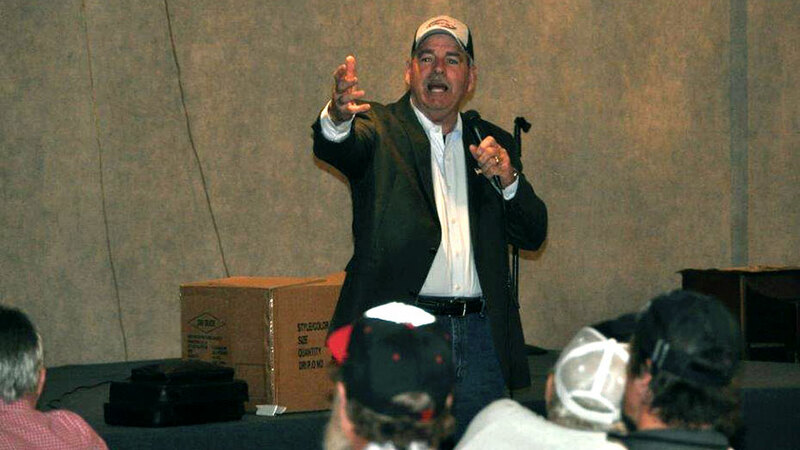 Hear how Jerry's wife hooked a Red Angus while pond fishing and how he barely survived a farm safety mishap that ripped his bib overalls clean off! 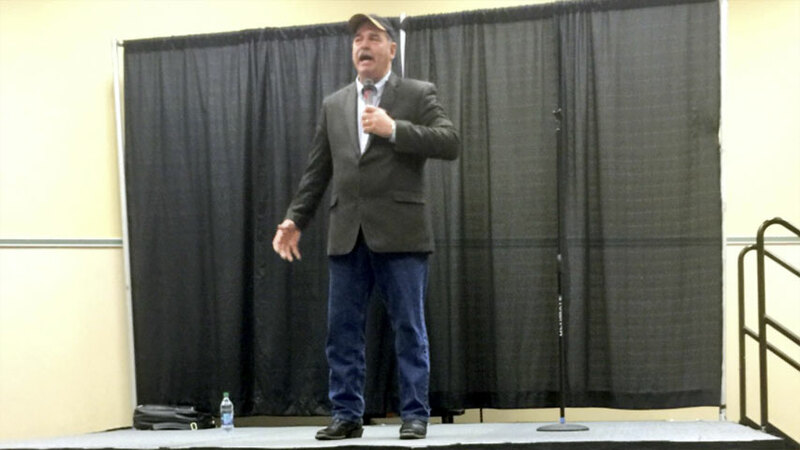 Where else are you going to find a full-time farmer and professional comedian who can deliver non-stop laughs? "We loved Jerry Carroll! I would recommend him to anyone, especially in the Ag industry. Very clean comedian and laughs at himself. 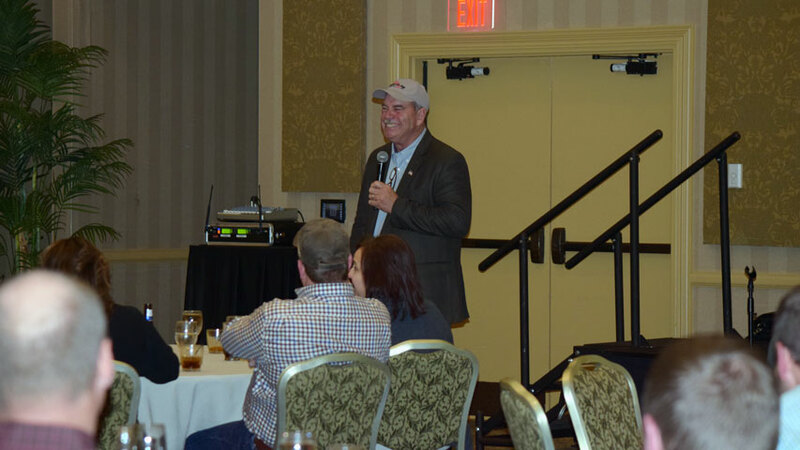 Our group of 110 Indiana farmers LOVED laughing with him. He arrived early and mingled with the group before hand. 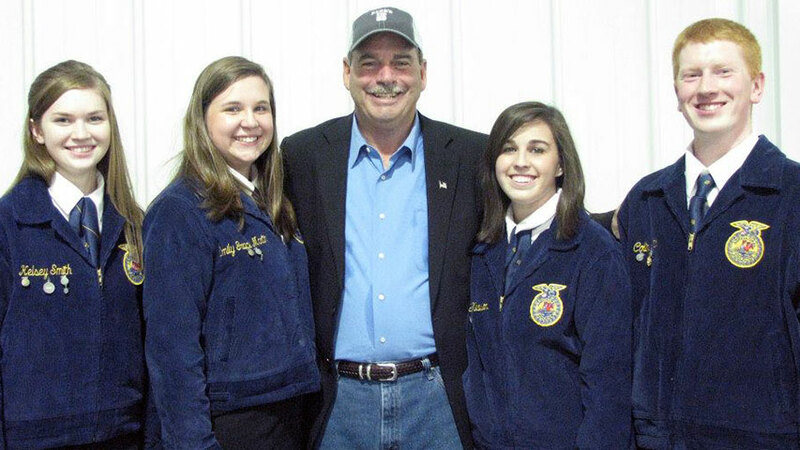 Was very down to earth, engaged with the group, made them laugh, and was very relatable to our group of farmers." "This is the second time I have booked Jerry Carroll for one of the Organizations we represent and he was phenomenal once again. I would recommend having Jerry at any meeting/event." "Jerry Carroll stayed engaged with the audience and could relate to the same experiences they have had in their personal life. He has a unique way of finding humor in day to day on the farm activities. Jerry understood our industry and has done many of the same things we have. He had the crowd laughing like crazy! I would consider having him back and would recommend him to all the farming industry." "Jerry Carroll's performance was wonderful. Everyone attending the event commented on how much they enjoyed the evening. He is very personable - taking the time to socialize with guests. He is very funny. It was nice to hear clean comedy. Highly recommend him." 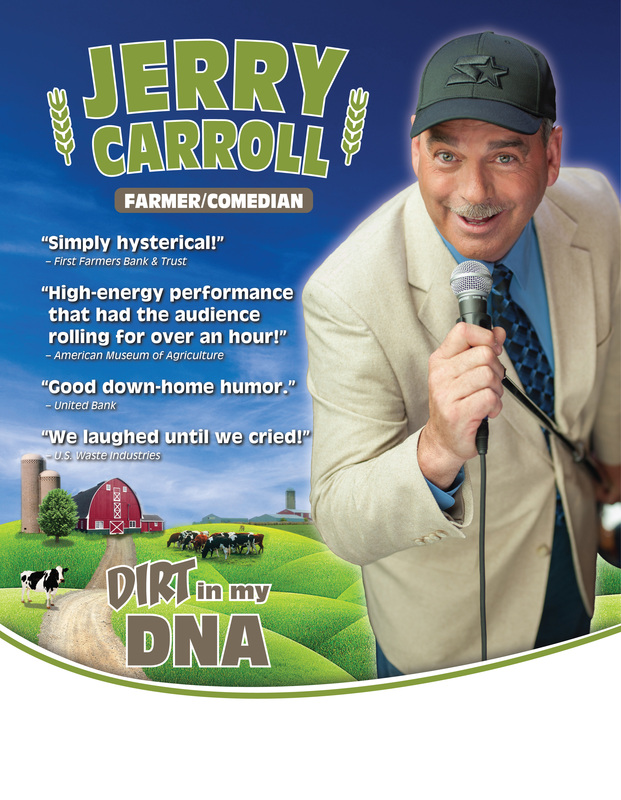 "Jerry Carroll was very entertaining. He arrived early, listened to our business meeting and got a flavor of who SD dairy farm families were. Then he used his talents to intertwine comedy of real life experiences and dairy life to keep everyone laughing. I only wish more could have been present to go home with a pain in the side from laughing." "Jerry Carroll was just great. Our folks loved his performance. He was also a joy to work with - came early and interacted with our crowd, just great. Can't say enough good about the job Jerry did for us. I am hoping we can use him again in the future." "Jerry Carroll did a great job. He arrived early and met our speakers and staff. He was very conversational, engaging members to better understand the business and establish good rapport. Also very professional, he connected with our audience, even at this breakfast event. We received many comments back that he was not only funny, but he knew the industry and award topics well enough to provide good lead-ins and tied the awards together nicely. It was very easy to schedule Jerry and the communication prior to the event was well timed and always spot on. It was also very helpful to have access to Jerry's introduction and high resolution photo's for the event and pre-event promotion. 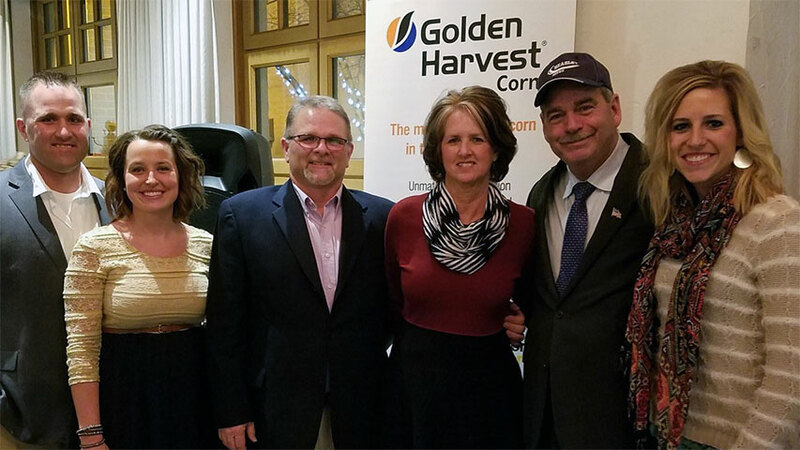 We enjoyed Jerry very much, both personally and professionally and would recommend Jerry to any group and especially those in an agricultural related business." "Wow -- where to start? Jerry Carroll met and exceeded my expectations. He was very easy to work with and very thoughtful. 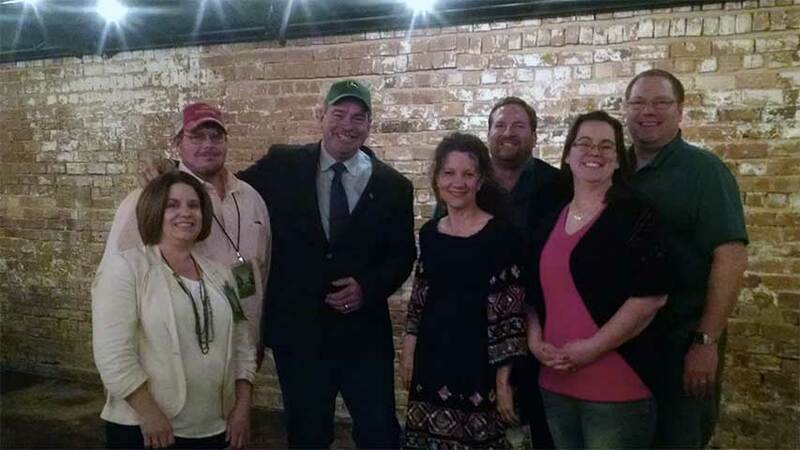 Jerry attended the Vendor Reception on Monday night - networking with the vendors and getting to know our committee and the surrounding area. 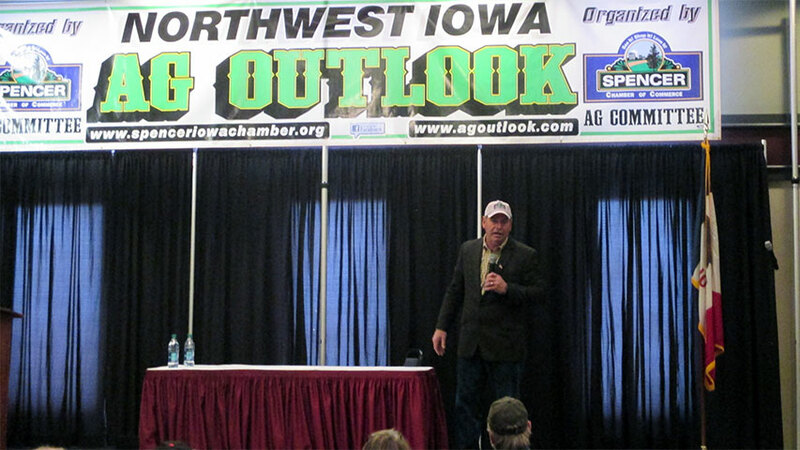 On Tuesday, Jerry arrived early at the venue and walked around networking with the vendors; meeting the public and attending the speaker before Jerry - Iowa Agriculture Secretary, Bill Northey. Everyone I have talked to that attended Jerry Carroll's presentation have told me nothing but great things about his presentation. 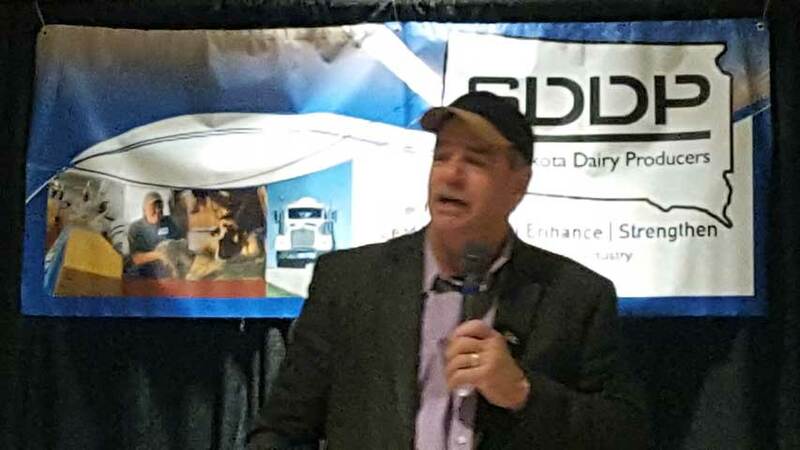 Jerry staying up on what is happening in Agriculture and Business in other parts of the US - and not just his home state is what impressed me. He very much so has his homework done to relate to his audience. Jerry also dressed correctly - he did not try to out dress the audience. Jerry's audience was farmers and farm related business people mainly and he dressed to relate to them - this was wonderful! After Jerry's presentation and before he left I was very touched that he came to find me to thank me and give me a hug. I would recommend Jerry to anyone." 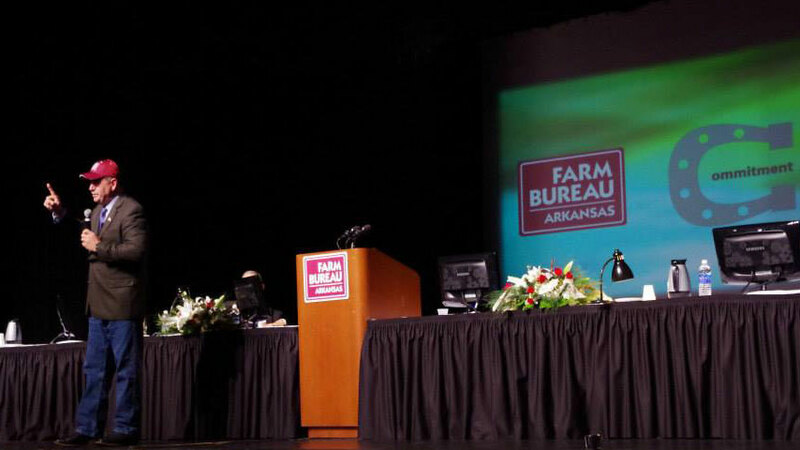 "Jerry Carroll did a wonderful job at our Agri-Business Banquet! He was there well in advance to make sure everything was setup and the stage/audio-visual was to his liking. 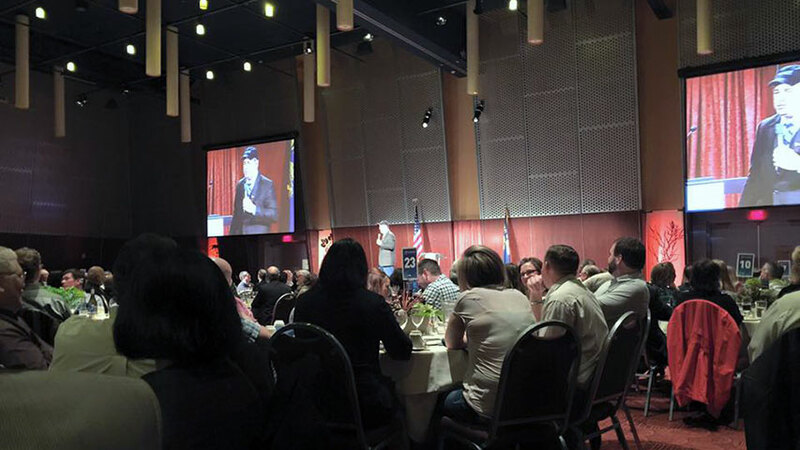 He had a message that resonated with a conservative, but diverse audience. Making a crowd of 550 have a great time is no easy task! Thank you so much." 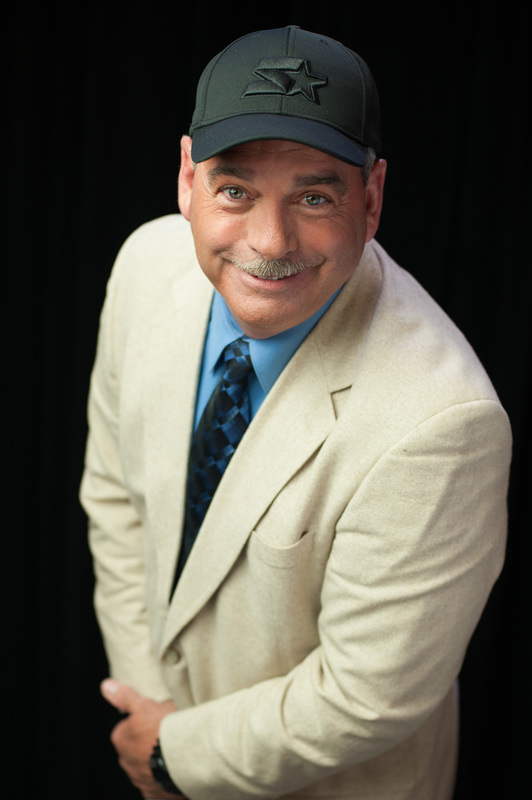 "Jerry Carroll was wonderful to work with! I can't say enough good things about him and his performance. Our audience loved him. He connected so well I believe after an hour, he could have gone on for another hour and no one would have left. 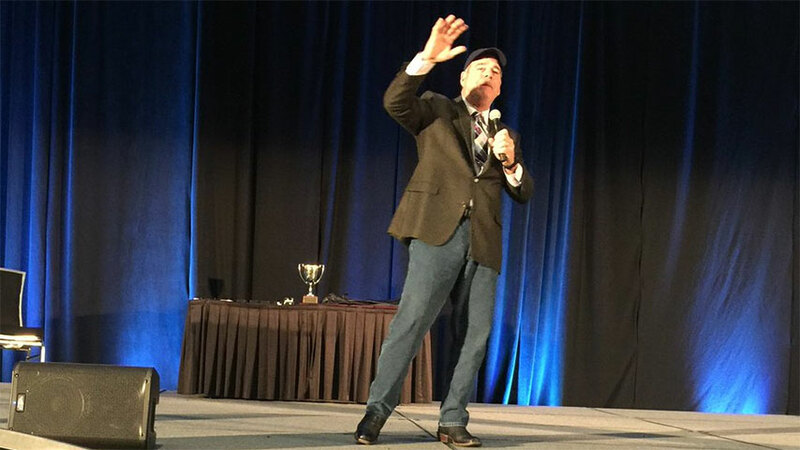 I heard many great comments, including that he was the best speaker we had had in a long time. His style of comedy was perfect for our members. I really enjoyed working with him. Everything we needed to promote the event was right at our fingertips on the website and any questions were answered quickly. We will definitely be looking to you for future entertainment." 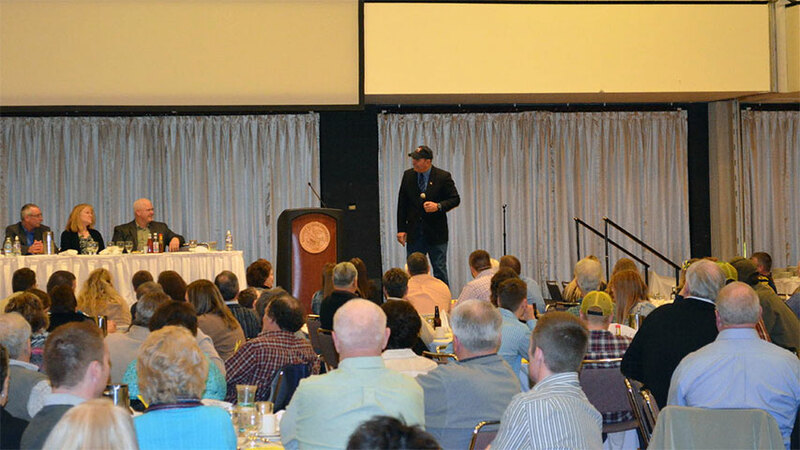 "Jerry Carroll did a great job of entertaining our guests. He arrived early, toured the Museum and visited with the crowd both before and after the program. He kept everyone entertained. We were very satisfied and will consider having him again." "Jerry Carroll was a great fit for our audience. He was able to relate very well with the crowd. Everyone enjoyed him and had a great time. Plus, he was very easy to work with."